When it comes to skin care, there are many choices but not all products on the market come with the backing of industry experts. Quintessence Skin Science offers you solutions that are actually distributed and recommended by leading dermatologists and cosmetic surgeons. This means you're getting exactly what the experts give to their own patients. Using a regimen by Quintessence Skin Science will offer you the ability to dramatically improve your skin's condition and appearance. You may be struggling with fine lines and wrinkles. Or maybe your primary concern is dark spots that have cropped up in great numbers lately. Quintessence Skin Science can help your skin combat the signs of aging and rediscover its youthful glow. Blemish prone skin can also enjoy improved clarity with fewer breakouts and blemishes by sticking with a comprehensive regimen from Quintessence Skin Science. Younger and more mature skins alike can see marked improvements and maintain those results by committing to a regular system using Quintessence Skin Science products. Quintessence Skin Science was founded in 1988 by a group of dermatologists looking to deliver a results oriented skin care program to their patients. Now you can enjoy the benefits of this clinical line in the privacy of your own home. With the Quintessence Skin Science line, you're benefitting from the same technologies, formulations, and applications that skincare professionals--from cosmetic surgeons to dermatologists, employ in their own labs and clinics. The brand falls under the umbrella of International Cosmeceuticals, Inc., which was established in 1988 by a team of dermatologists connected with the University of Miami who wanted to offer skincare products backed by the latest science and delivered in affordable, accessible, and environmentally responsible formulations. These carefully developed and rigorously tested products stem from the same guiding philosophy, but collectively cover a broad gamut of cosmetic and dermatological needs. For example, there are sunscreens specially designed for use on the scalp, an oft-neglected area that nonetheless is more plainly exposed to damaging ultraviolet radiation than any other part of the body. You'll also find elegantly rendered moisturizing lotions designed to tackle parched, chapped, and flaking skin at the root of the problem. Distressed by the deepening wrinkles and degraded elasticity that inevitably comes with aging? The Quintessence Skin Science line includes products formulated to neutralize and diminish the visibility of such features while bolstering the firming and cell-renewal capacity of your skin. Evening out tone, smoothing rough skin texture, protecting against the damage of sun exposure, cleansing and moisturizing at the deepest levels, these Quintessence Skin Science creations bring to the forefront the most acute and refined dermatological science. Take advantage of this top-shelf quality and give your complexion the best-of-class attention it deserves. Dermatologist-founded Quintessence Skin Science offers the very best when it comes to skin care products. Industry experts have created these formulas to maximize their effectiveness while pampering your delicate skin. Say goodbye to the irritation caused by unnatural skin care products. 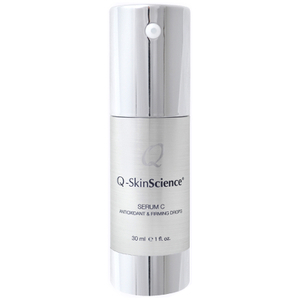 Quintessence Skin Science Products rely on antioxidants, natural extracts, and vitamins to deliver serious results. You'll notice clearer, better moisturized skin after adding these products to your skin care routine. Even more, you can turn back the clock and give your skin a youthful, wrinkle-free glow. No matter your skin care needs, you can discover a Quintessence Skin Science Product that works for you. Cleansers rid your skin of everyday buildup, while moisturizers add that much-needed hydration to your skin. Whether you want to rid your skin of cellulite or reduce fine lines and wrinkles, there's a Quintessence Skin Science Product for you. 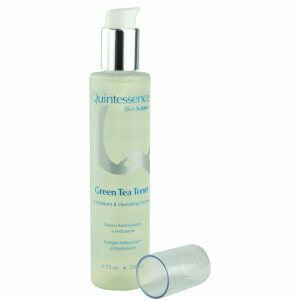 Enjoy healthier, younger-looking skin thanks to this line of products. The key to healthy skin is effective, soothing skin care products. 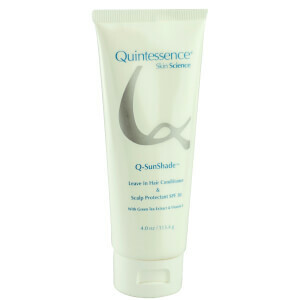 Quintessence Skin Science offers dermatologist-tested products that use natural, healthy ingredients. Avoid the harsh irritation that comes with many skin care products that feature artificial colorants and unnecessary fragrances. 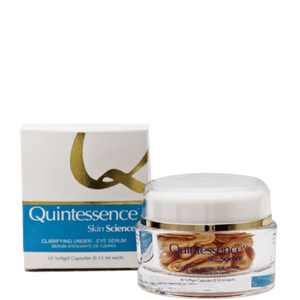 Rely on Quintessence Skin Science Products for your skin care needs. Quintessence Clarifying Under Eye Serum Capsules reduce dark circles under the eyes, leaving your skin brighter and healthier. Vitamins A, K1, C, and E, along with green tea extract, combine to decrease skin pigmentation, improve skin texture, and smooth fine lines in the delicate area around your eyes. Using advanced technology, these capsules deliver these important ingredients in a time-released formula to maximize results. Take one capsule every evening, and enjoy vibrant skin as a result. Vitamin C and cucumber extract work together to improve your skin in Quintessence Serum C Antioxidant and Firming Drops. Enjoy improved skin tone and elasticity, thanks to increased collagen production, and reduced pore size with this serum. The serum also controls inflammation, encourages wound healing, and reduces skin redness. Apply the serum before you go in the sun, as it can fight sunlight-induced photo aging. You can even mix the serum into your body lotion for all-over benefits. 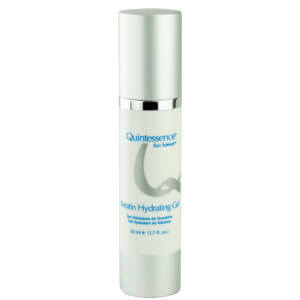 Cleanse your skin without irritating it with Quintessence Purifying Cleanser. This detergent-free, lipid-free formula is gentle enough for sensitive skin types. It includes natural but effective ingredients that include aloe vera, cucumber extract, Bisabolol, and Vitamins A and E. Daily use of this cleanser results in clean, healthy skin. Use it to prepare your skin for advanced treatments or pamper it after chemical peels, microdermabrasion, or cosmetic surgeries.